Brooklyn Beckham has sparked a new hair trend: the Man Braid | HELLO! February 01, 2016 - 14:14 GMT hellomagazine.com Move over, man bun! There's a new male hair craze in town, and you have Brooklyn Beckham to thank! The eldest son of David and Victoria Beckham took to Instagram to share a pic of his 'maid' (man braid) with his 5.9 million followers. It's the latest incarnation of the man bun (aka mun) for guys styling out longer hair. But he wasn't the first to pioneer the trend – Harry Styles championed the 'maid' in 2014 when his hairstylist Lou Teasdale shared a photo of his look. 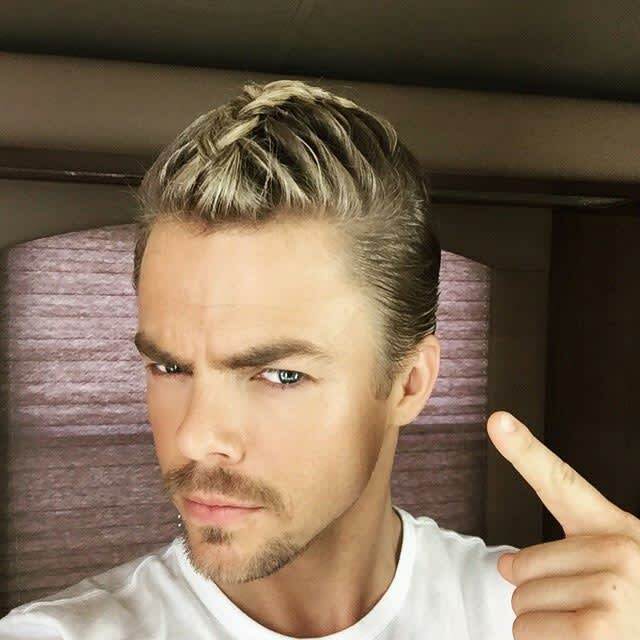 And dancer Derek Hough has long been proudly wearing his long hair in braids. A group of hipsters have tapped into the trend, and you can browse the hashtag #manbraid on Instagram to see their results. In other Brooklyn Beckham news, the teenager revealed he was enlisted by Burberry to photograph their new fragrance campaign. The 16-year-old confirmed the exciting news on both his Twitter and Instagram accounts. Brooklyn has already made a name for himself in the fashion world, with campaigns that have included the Polish clothing label Reserved. But his love of photography means he is now just as in demand behind the camera. It's not the first time that the luxe British fashion have teamed up with the Beckham family. They have an ongoing relationship with Brooklyn's younger Romeo, who has starred in a series of adverts for the brand ever since making his modelling debut in 2012.